Do you need a literacy planner for your students to help keep them on track while you teach guided reading? This planner will help your students remember what they have to do and then what their choices are for after they do their must-dos. 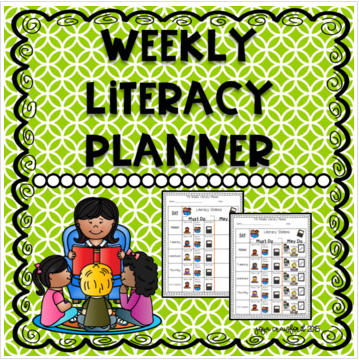 This planner will allow you to teach your guided reading groups without interruption and your students to gain independence and become self-managers. Sub Plans Pack: The Pigeon Needs a Bath.